Famed Kryptonian Superman may be as American as apple pie, but co-creator Joe Shuster was, himself, from the Great White North. Feeling somewhat responsible for the most famous superhero of all time, Canada has released a series of commemorative coins of Kal-El through the years. 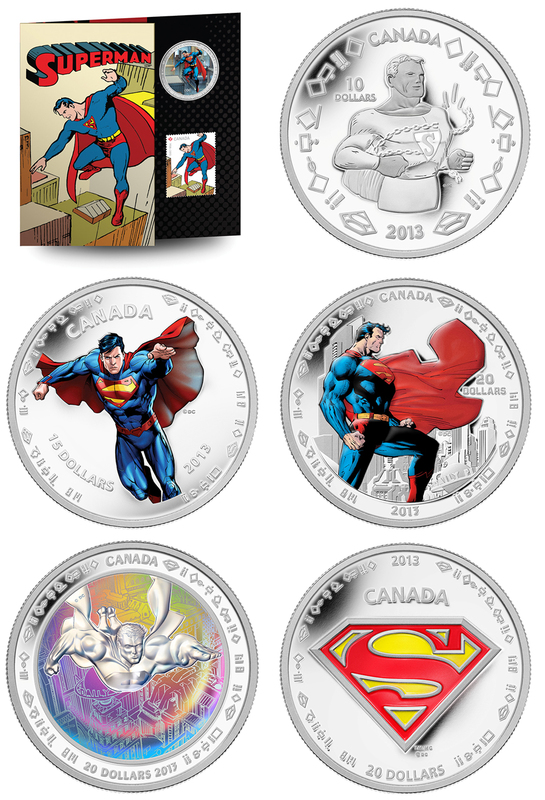 Minted from gold, silver and cupro-nickel (steel, oddly, never came into play), the seven coins feature the iconic superhero in various poses and include lenticular and holographic versions that change color and animate as they're tilted. The face value of the coins ranges from 50 cents to $75; however, they cost from $30 to $750. Still, that's far less expensive than Supes' debut "Action Comics" issue, which sold for $2.16 million in 2011. 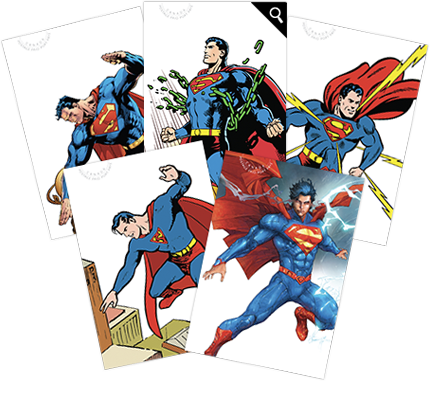 The 5 booklet covers are plucked straight from the comic book covers you love! I ordered on of the Stamp Books with two examples of each of these along with this neat first day display which I planned to get framed. Canada honors Superman's 75th with a series of commemorative coins. 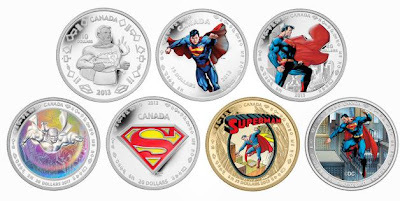 These coins from the Canadian Mint also look great but are expensive. 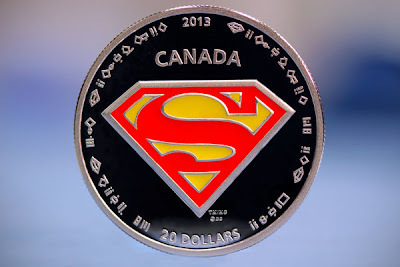 They are legal tender and can be redeemed at any bank for the going rate of silver or gold. 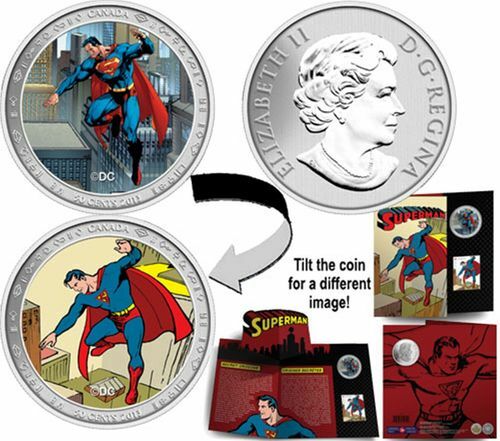 I do like this one for 30 dollars with includes a lenticular coin and comes with a nice booklet and Superman stamp. 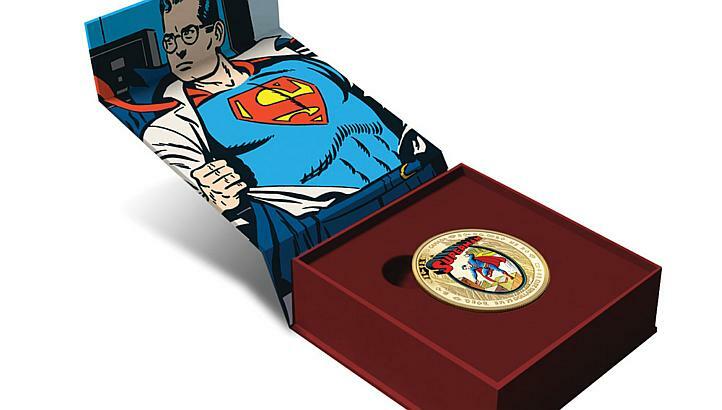 Maybe a cool Christmas gift for the Superman collector in your life?